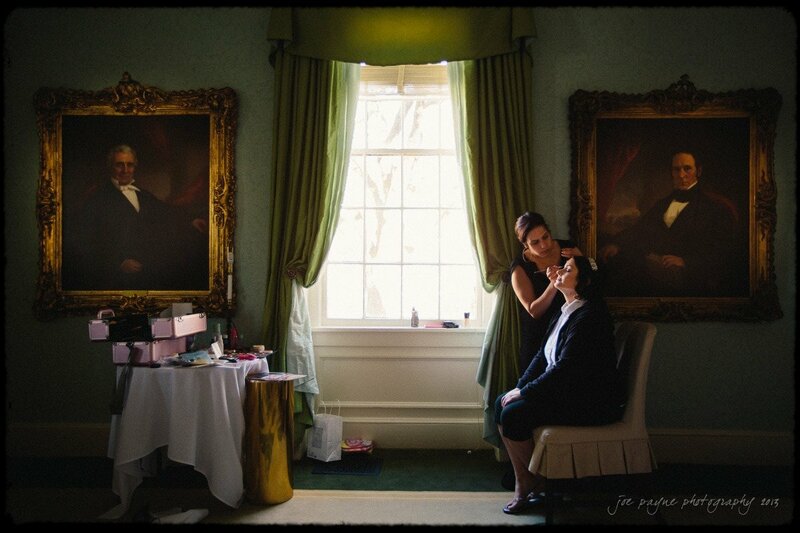 This week’s image of the bride getting her make-up done offers a nice contrast to my last post and comes from a wedding I photographed last weekend at The Carolina Inn just down the road in Chapel Hill. If you’ve read my blog before, you may well be aware that I really don’t like to direct the wedding day at all, but just let it happen and focus on documenting it honestly. With this image, however, I did provide a little bit of direction in order to get the most from the environment we were in. What was the direction? I closed the other blinds in the room and moved the chair 90 degrees and to the side so the bride was lit with some beautifully soft rim lighting and we could get a bit of mood in the image. Once that was done, I could then compose to bring in the elements of the window and the paintings and provide a sense of place. So you can see that on those rare occasions where I do step in and influence the setup of the image, I do it for a reason and I keep it very minimal. 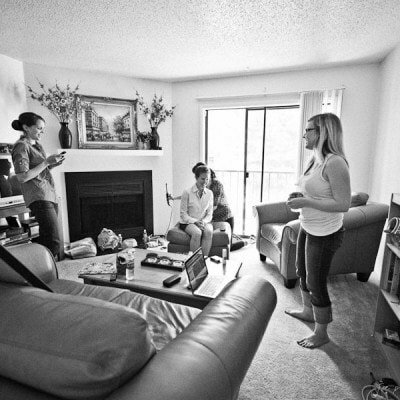 The moments are still real, I just set up the image to make the most of the room and get the best possible picture. Very Vameeresque Joe. I like a lot how you capture the period with the light and posturing. Great jab Bi Guy! Thanks, Barbara! Hope you're well! Joe, this was our sons wedding day. We love this pic u took of Jess. I was in the room when u took it, amazing shot! Is there a way for Bo's parents to get a pic of this? If so, what size would b available to us? Also could we get it sent to Michigan? Hi @[100000696221429:2048:Dawn], thanks so much for your message. You can certainly order prints through my website and have them sent up to you in MI. I will forward you the details to log into the gallery.